Somebody mentioned Sci-Fi in Bollywod and I was all like – whaaaaaaaat!??! I was not surprised but already disappointed. I was like, again some American will watch this and lose respect for Bollywood. With Sci-Fi and psychological thrillers and animation – we have a long way to go. But, with Shree, I think bollywood just made the break through. Concept – 10/10. 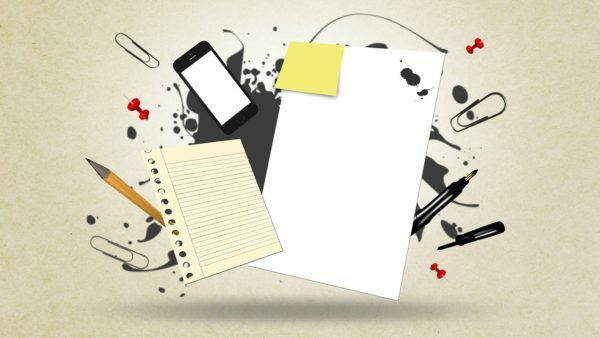 Story – 8/10. Performances – 7/10. Risk – 100/100 and the risk paid off. 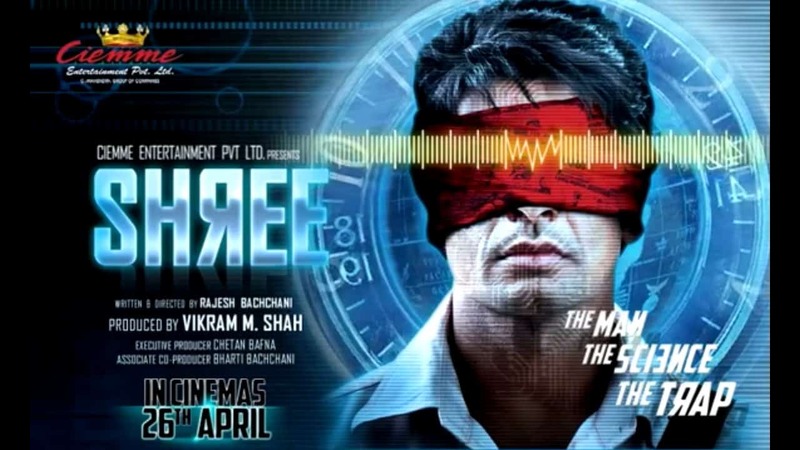 Shree is a 2013 Bollywood thriller film starring Hussain Kuwajerwala, directed by Rajesh Bachchani and produced by Vikram M. Shah. Inception in Indian concept. Not exactly, but the way you had keep track of each scene, each word and then conjoin the disjoints to make sense – Shree belongs to that category. It makes you think. A Sci-Fi nerd would be happy to indulge in such a cinema where the rom-com bored audience might get a splash on which might not settle as yet. Shree (Hussain Kuwajerwala) is an accountant in a telecom major, earning peanuts for salary for the job of Jairaaj Randhawa (Rio Kapadiya). He has a cute girlfriend, Sonu (Anjali Patil) who he plans to marry one day. Jairaaj is looking forward for one of his scientific experiment which has already gone wrong on 8 other people, which he offers to Shree in return for a luxurious life with his girlfriend forever. The real charisma of the movie is the experiment which is performed on Shree. It’s fantastic. I am not revealing a thing. Hussain Kuwajerwala has shown the audience that small screen TV stars are the ones who have a lot of unexplored capabilities and once you invest it, you leave a hall full of audience wanting for more. Rio Kapadiya is in good form. Shivani Tanskale’s character in the first half looked like a sidekick’s kick. Anjali Patil was disappointing. I found flaws in her loudmouth acting and that was it. Dude, who gives a care in the world about music when the movie doesn’t give a damn? You have to consume some kind of knowledge in science-geographical theory to understand the conceptualization in the movie. This is rare, isn’t it? To watch a bollywood movie, now someone is asking you to go read a book or Google and read about a concept? New, I say and simply awesome. Rajesh Bachchani (Director) and Vikram M.Shah (Producer) are the Christopher Nolan’s of Bollywod. The camera-work is lousy and amateur. Also, there is too much talking/flashbacks/voice-overs/betrayal for the suspense to systematically unfold. But, wait till you see and then judge, I had say. A disclaimer – this movie is confusing. (Not that I didn’t understand the concept or something!) but, yes, it’s a lot of work for a story to go astray and with the camera zooming in and out- your life can take sad turns at places where the actors also don’t know which heights of science they have reached. 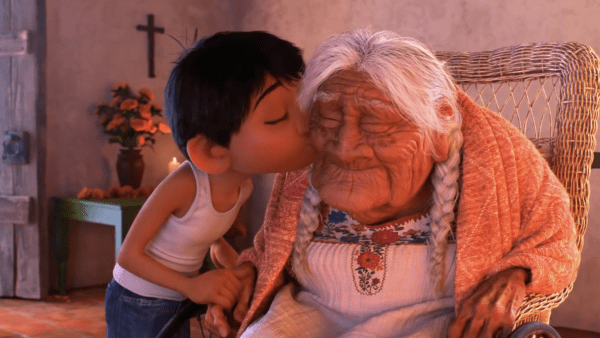 Coco (2017) Review: A Spectacular Story that has a Heart & Feelings! I'm a law student (by choice), a freelancer (by choice) and a movie freak (by passion) and apart from a bibliophile, a turophile and a writer, I am also a TV show and movie addict. I can write on anything under the sun but give this enthusiast a movie slang or a hint and I can yak about it for days to come.